According to a report published last week by Greenpeace International, the European Union could reduce carbon emissions by up to 95% compared to 1990 levels if it fully harnesses renewable technologies, such as wind turbines and solar panels. The report also argues the European Union could obtain as much as 92% of its total energy requirements from renewable sources by 2050; however, according to Greenpeace and the European Renewable Energy Council, achieving such targets would require additional investment worth around €2 trillion (£1.7 trillion). Whilst such a figure may appear on the large side amid persisting economic uncertainty, Greenpeace has argued that committing to renewable energy sources would result in fuel cost savings of €2.65 trillion. A spokesperson for Greenpeace said: “This study shows that investing in green energy will nudge up the cost of electricity in the short to medium term. But it will save trillions of euros in fuel costs alone by 2030 and represents an immediate investment in jobs and energy security”. The feasibility of the report was given additional weight by the President of the Federal Environment Agency, Jochen Flasbarth, who said: “A complete conversion to renewable energy by 2050 is possible from a technical and ecological point of view. It’s a very realistic target based on technology that already exists – it’s not pie-in-the-sky prediction”. UK homeowners are already aware of the drive to reduce carbon emissions – a policy that was introduced by the previous Labour Government. 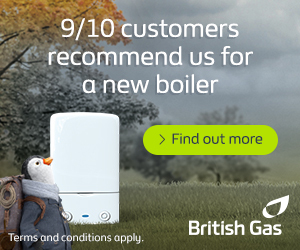 Over the past year or so, various schemes have been implemented in the UK to assist homeowners in reducing their carbon footprint; notably, the Boiler Scrappage Scheme, which provided money-off vouchers to eligible households applying to upgrade E-rated central heating boilers to more energy efficient A-rated units, was a resounding success in the UK (although not so much in Scotland, where demand far exceeded supply) and the newly announced Feed-in Tariff that provides an incentive for homwowners to install solar photovoltaic panels. To many, the Greenpeace report will appear overly ambitious; to others, it will seem those in power will do everything possible to hang on to non-renewable technologies for short-term gain. 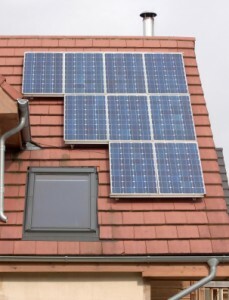 Whatever the case, each household in the UK can contribute to the global picture by reducing its carbon footprint through a variety of green initiatives.